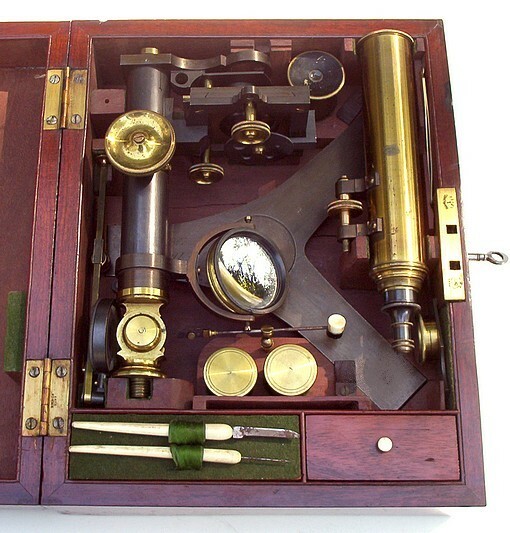 A lower section of the case houses prepared slides dated 1847. 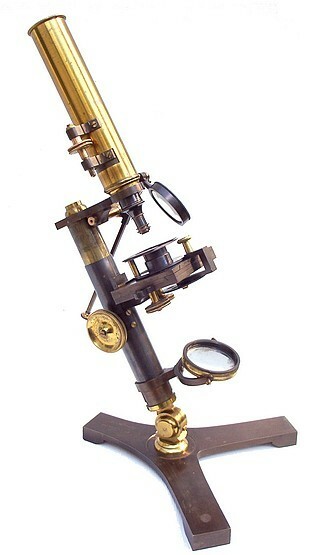 Among the accessories supplied withthis microscope are two objectives with canisters, two eyepieces, a limb mounted stage condenser, a live box, a stage forceps, and some dissection tools. There is a mechanical stage with controls located under the stage. Above the stage is a rotating spring super-stage. Below the stage is a wheel of apertures. The mirror is single sided and concave. 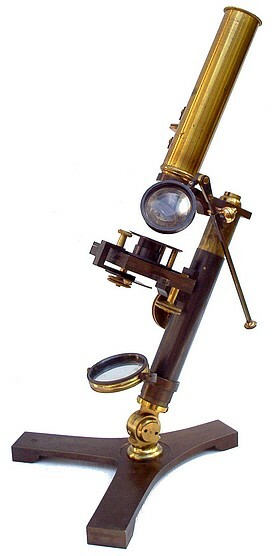 An identical example is located at the Science Museum, London signed : Carpenter & Westley, 24 Regent Street, LONDON (cat. ref: 25-78). 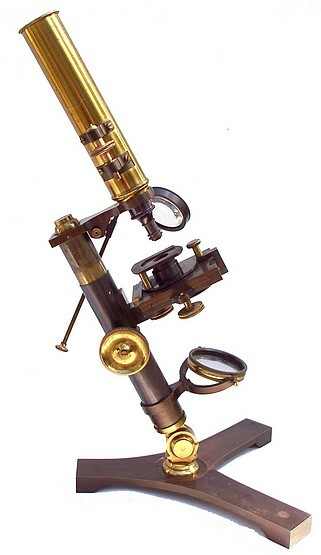 An additional example of this microscope signed James Robinson, Dublin was offered at the June 29, 1995 Christie's auction sale as lot 190. 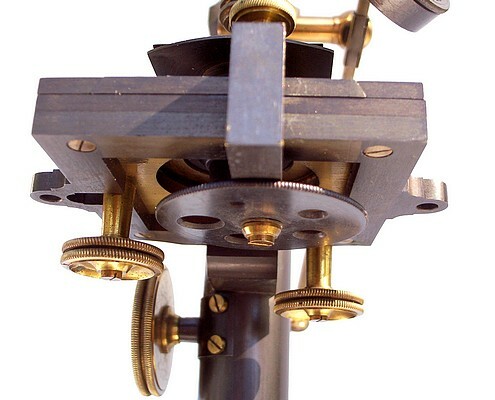 Another similar example, signed by Abraham, but lacking the mechanical movements of the stage has been recently been offered for sale. 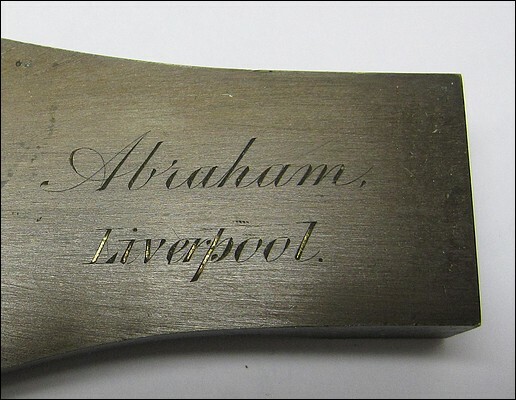 See a discussion of the work of the Liverpool instrument maker Abraham Abraham and his partnership with J. B. Dancer. Also, look here.